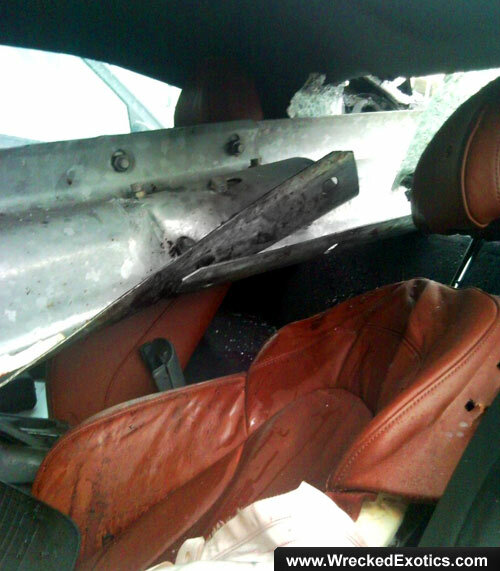 One of the most frightening types of accidents is when a sharp object pierces through the passenger compartment. Oftentimes objects will come through the windshield since that's the weakest point. However, that's not always the case. The worst type of puncture is when an object pierces through the actual car. 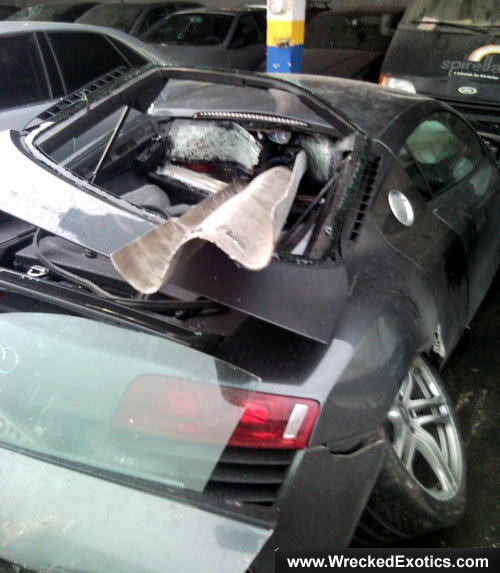 When the engine compartment can't stop the object, you know you're in for a world of hurt. Ironically, the most dangerous type of object seems to be something that was originally designed to protect you - the guardrail. 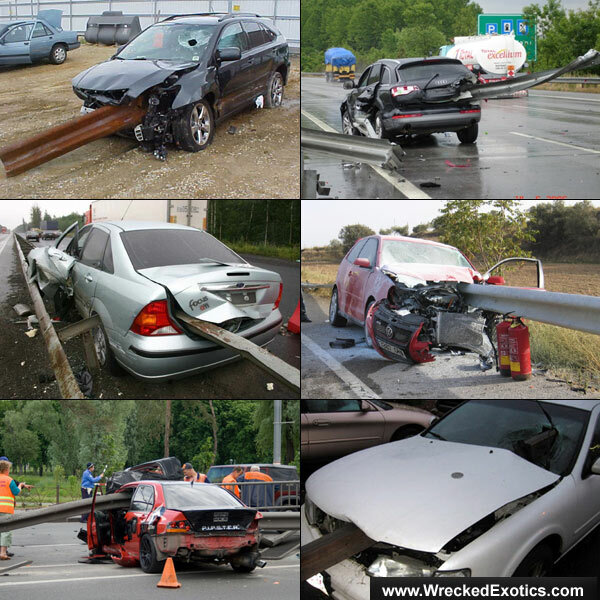 When a vehicle hits a guardrail at the wrong angle, it can penetrate the car like a hot knife going through butter. 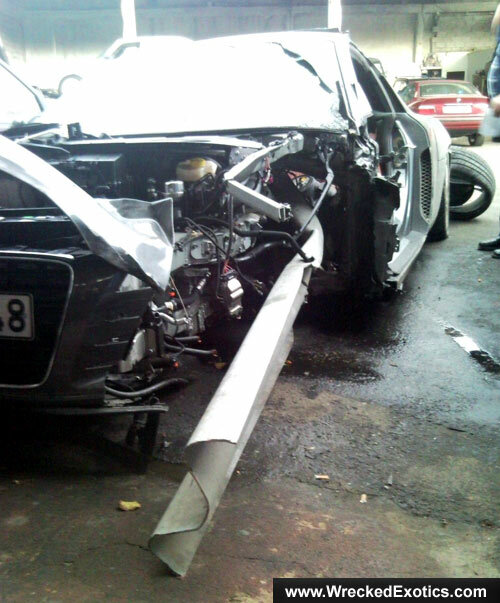 That's exactly what happened to this Audi R8 in Athens, Greece. Details are sketchy, but the driver may have fallen asleep when the car veered off the road into the guardrail. It punctured through the side of the engine compartment, pierced through the steering column, and exited through the rear windshield. 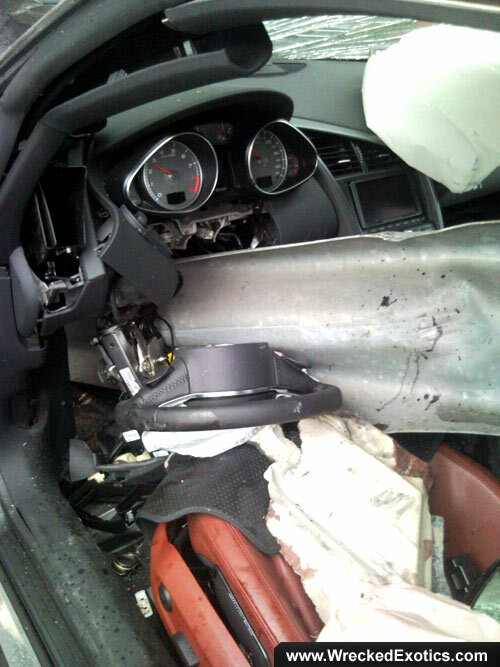 The driver sustained serious injury to both his legs but miraculously survived. And in case you're wondering if this was just a freak accident, unfortunately, this type of accident happens more often than you think.